The Inmarsat BGAN High-Usage airtime rate plans include the 750 Megabyte plan or the 2105 Megabyte plan of data per month. These plans offer affordable voice and data costs and global satellite internet connectivity. These High-Level BGAN plans are recommended for long terms projects that requires high data usage. BGAN is the fastest global satellite internet access available via a portable satellite terminal. The Inmarsat network technology such as the BGAN's provides fast and efficient internet connection, allowing you to download files, e-mail or attachments, web browsing in remote areas and basically allowing you to have a remote office or connection to the world wherever you go without the use or need of terrestrial ground towers or cellular coverage which can be much higher rates when traveling abroad and inconsistent service or signal strength. After receiving signed agreement, the, activation takes about a four hours, however sometimes there are delays in Inmarsat’s system and activation can take up to 48 hours. We recommend requesting activation 48 hours prior to when you will actually need the airtime, just in case there are some delays in the system. **All other voice calls may incur a surcharge (*See Table Below). This Plan requires a minimum 12 Months Contract Period. There is a first-time $50.00 activation fee for new BGAN postpaid accounts. Call rates for voice calls are per minute, while background IP is per Megabyte. Voice calls 30-seconds minimum, 15-second increments thereafter. Data calls 50KB minimum, 10KB increments thereafter. Calls to voicemail are charged at the same rate as a call to a landline. Activation of voicemail is free. Incoming calls are free, however, the calling party will be charged international rates by their carrier. You can add a USA Local number service that can reduce these rates through a VOIP forwarding service. Plans may be upgraded to other plan anytime. The BGAN Streaming rates are for selectable Quality of Service Internet Protocol (IP) Streaming. All BGAN Terminals enable broadband communications that can be utilized to establish audio/video conferencing. Streaming services can be used by broadcasters to stream live video with dedicated bandwidth, in remote areas where traditional cellular service may be unreliable or non-existent. Streaming services connect to the Internet just like standard BGAN services, however streaming services are charged by the minute of use instead of by Megabyte transferred like standard BGAN services. There is a one-time activation fee of $50.00 with monthly accounts. There is no activation fee for upgrading an active BGAN Sim Card. 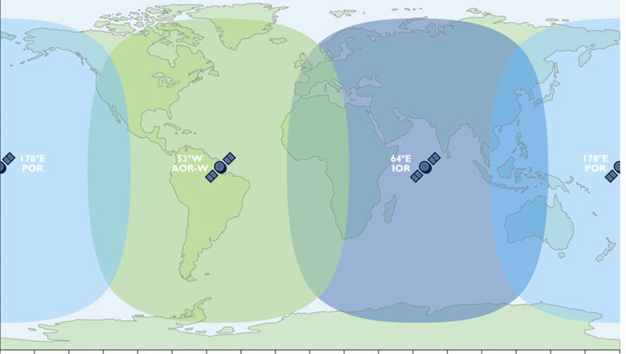 The BGAN Monthly service may be used worldwide over the global Inmarsat-4 satellite network. All monthly BGAN plans auto-renew after termination of the contract commitment. Subscriber must notify in writing 30 days in advance to cancel service. Notification can be send via email, fax, or mail. There is no rollover of unused voice and data for the monthly plans. Circuit Switches Voice, SMS and Standard IP services are supported. The End date of any contract is always last day of cancellation month. BGAN Monthly airtime is non-refundable. Customer authorize NorthernAxcess to charge the credit card specified in the Inmarsat BGAN Monthly Airtime agreement for monthly subscriptions costs, calls, SMS, Data & overages. By buying this product customer also agree to NorthernAxcess Terms and Conditions. The Inmarsat network uses four geostationary satellites to provide voice and data communication services almost anywhere in the world. Because Inmarsat coverage extends from latitudes of -82° to 82° regardless of longitude, higher latitudes will have lower performance. Registration to the network requires a clear line of sight to the equator and may not be suitable for use in canyons or mountains. Click the button below to add the Inmarsat BGAN 750 MB / 2105 MB High USage Monthly Airtime Plan to your wish list.